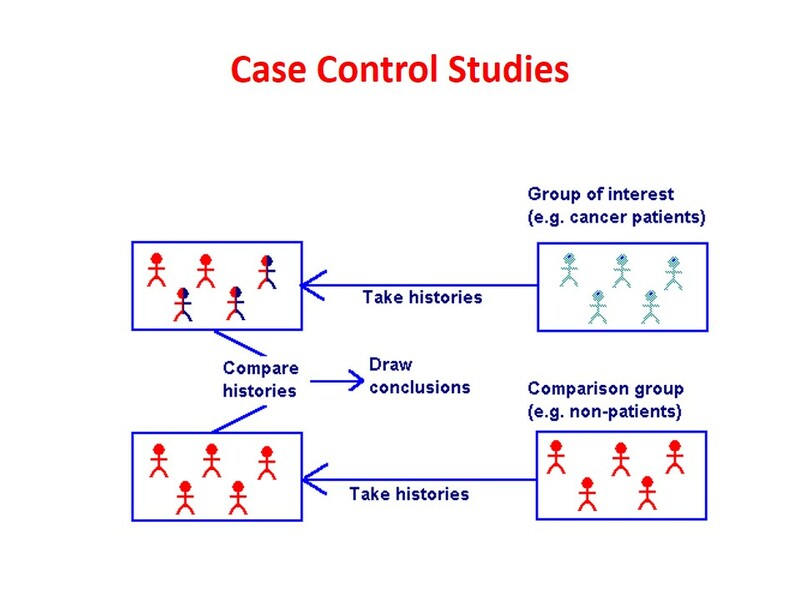 In case control study, we start with diseased group (“cases”); which we compare with non-diseased group (“controls”). 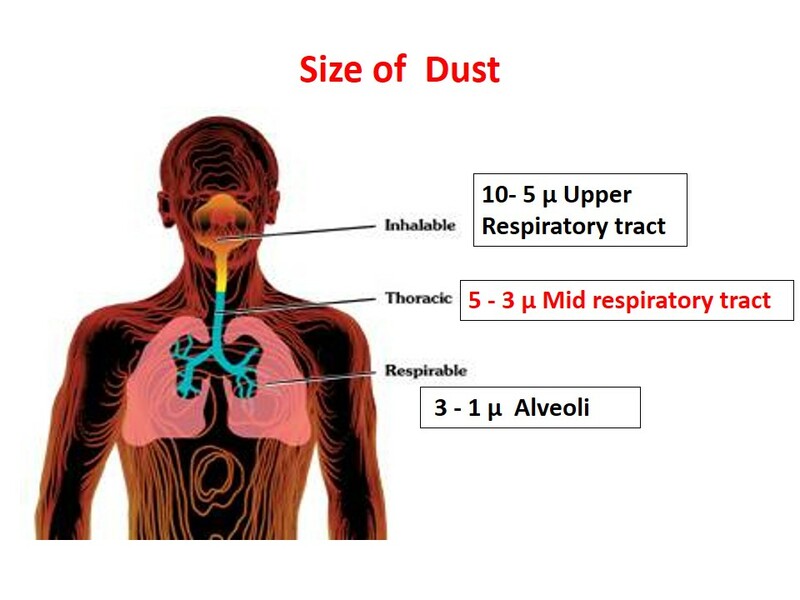 We look back in time for possible differences in exposure factors. Thus it is also known as a “retrospective” study. 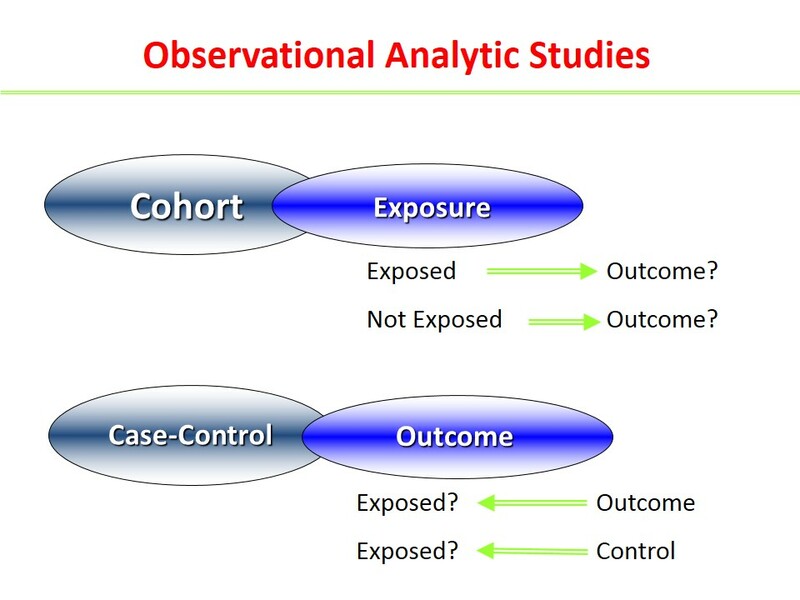 In its simplest form, we can say that case control study is comparing a case series to a matched control series. Possibly the first case control study was by Whitehead in Broad Street pump episode, 1854 (Snow did not do a c-c study). First modern case control study was Janet Lane-Claypon’s study of breast cancer and reproductive history in 1926. 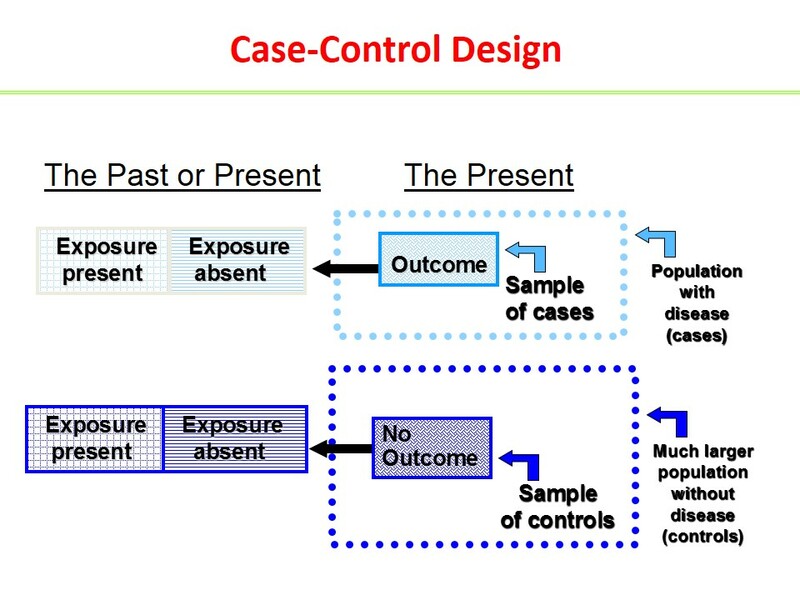 Four case control studies implicating smoking and lung cancer appeared in 1950, establishing the method in epidemiology. 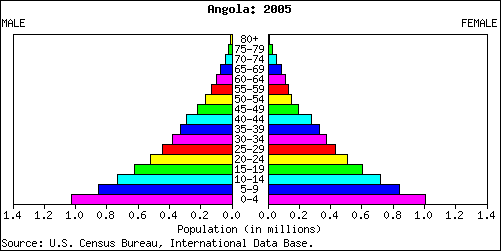 In a case-control study, the risk of disease cannot be directly calculated because the population at risk is not known. 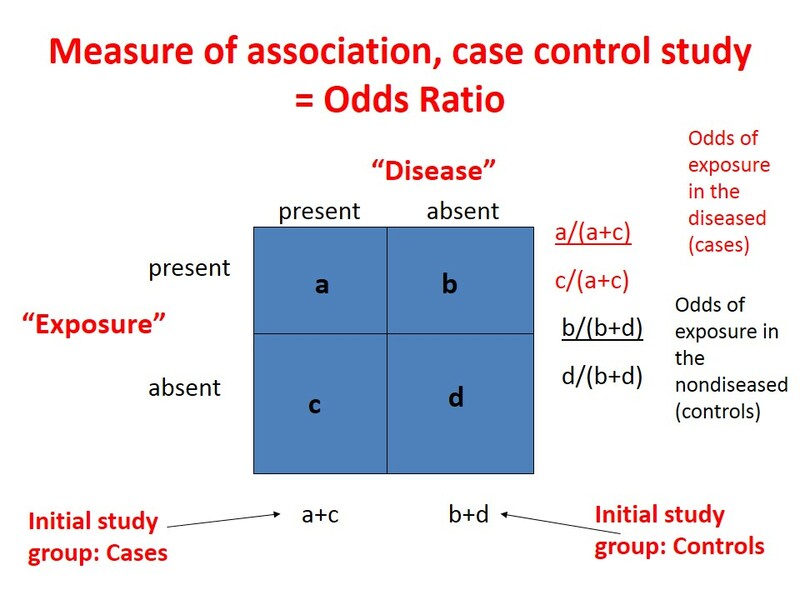 Odds ratio is the measure used with case-control studies. To calculate the measure of an association between the outcome of autism and the exposure of the Measles-mumps-rubella vaccine, a case-control study was conducted, with the results shown in the table. To calculate the OR, we multiply cell A, which is 130, times cell D, which is 135. We divide this by the quantity of Cell B, which 120, times cell C, which is 115. 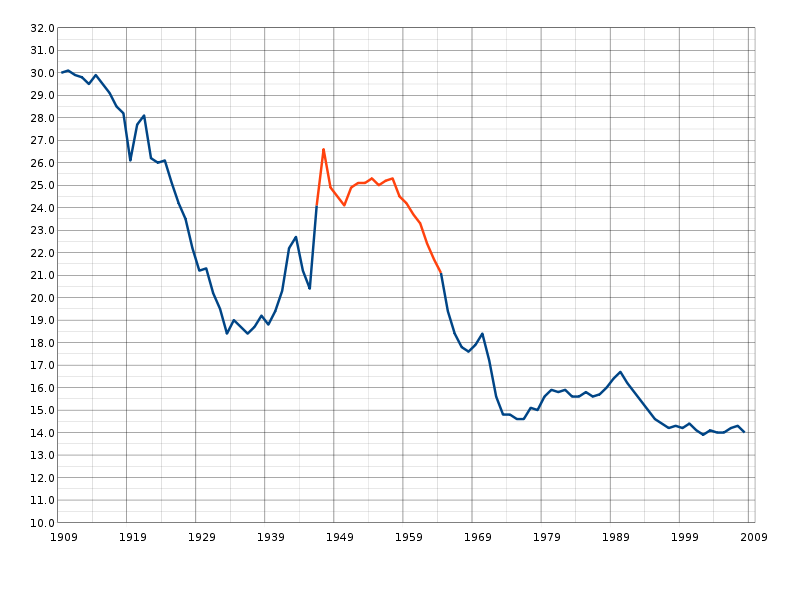 The OR comes out to be 1.27. 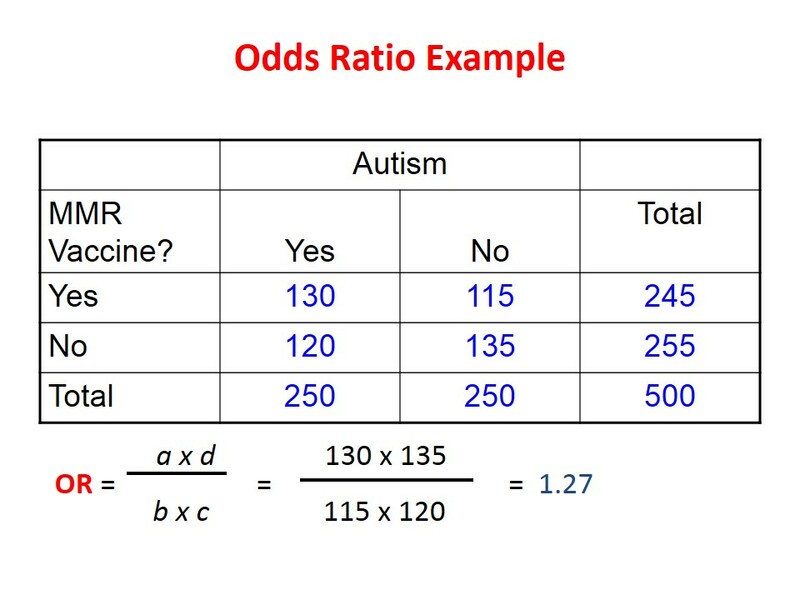 From this, we can say that the odds of being exposed to the MMR vaccine were 1.27 times higher in those who had autism than in those who did not have autism. – Identification of factors which predispose to severe disease or death. 1. 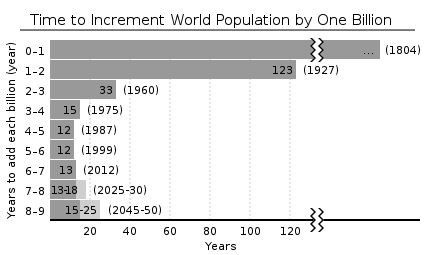 Both exposure and outcome (Disease) have occurred before the start of the study. 3. It uses a control or comparison group to support or refute an inference.